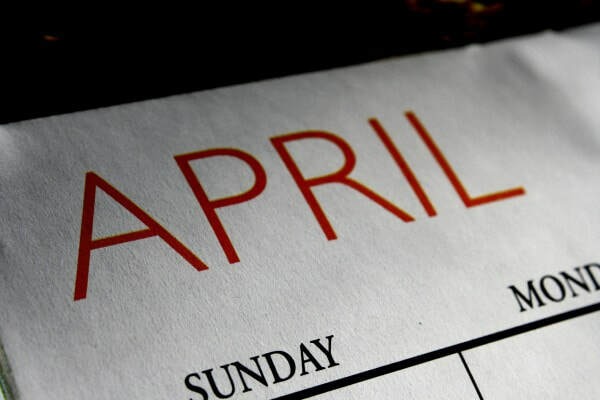 ​April 3 Choir Rehearsals 6:00/7:15 p.m.
April 10 Prayer Circle 10:00 a.m.
April 18 Maundy Thursday Service 7:00 p.m.
April 21 Easter Sunrise Service 7:00 a.m.
April 24 Prayer Circle 10:00 a.m.
Palm Sunday, April 14th, the Sunday School will be singing during our 9:00 a.m. worship service. 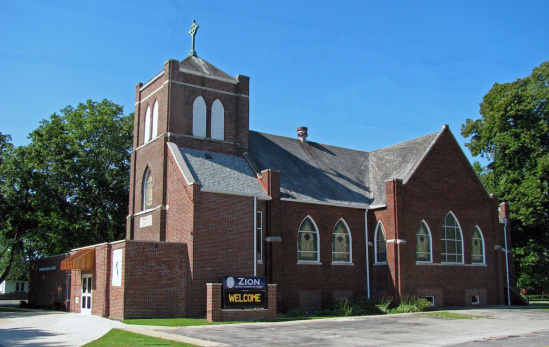 Maundy Thursday Service will be held April 18th at Zion UCC beginning at 7 p.m. for our traditional Tenebrae service. Please mark your calendars. Easter Services include a Sunrise Service at 7:00 a.m., followed by our traditional Easter Breakfast at 7:45 am. Traditional Worship Service will be held at 9:00 am, featuring a beautiful Easter Cantata presented by our choir. A free will offering will be taken for breakfast with a suggested donation of $5 per person. There will be no Sunday School or Adult Faith Formation. Look for a sign up sheet on the communication desk in the Narthex for Easter Breakfast donations of coffee cakes, milk, orange juice, and fruit. Preparation for the breakfast will be Saturday, April 20th at 4:00 pm and volunteers are also needed on Easter morning for meal prep, serving and cleanup. 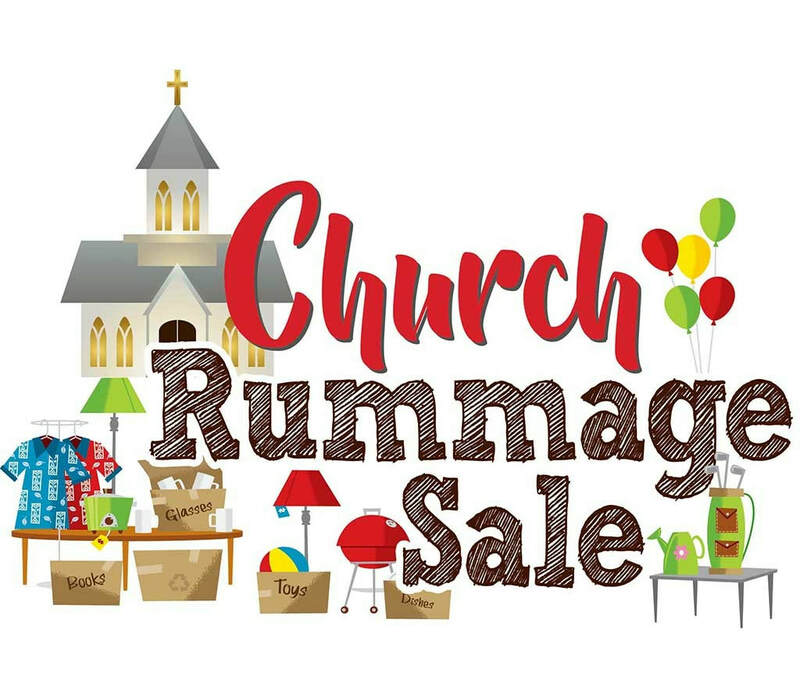 Ladies’ Fellowship will sponsor a Spring Rummage and Bake Sale on May 9th (8 a.m. - 5 p.m.) and May 10th (8 a.m. - 2 p.m.). Drop offs will be held May 7th (10 a.m. - 3 p.m.) and May 8th 4-7 p.m.). Please save your rummage that is clean and in good condition. If you need assistance with any large item donations, please contact Marcia K for pick up assistance. ​Interested in helping? Please sign up at the communications desk or contact Marcia K.
Calling all bakers!! Break out your favorite recipes, grab your flour and sugar! We need your donations for our upcoming bake sale that will take place during the rummage. You can bring in your donations during the rummage sale drop off times. Greetings to you all in this Lenten season. May the love of Christ build within you a resilience and hope sufficient to meet the challenges of our day. I write to thank you for your support for this year’s One Great Hour of Sharing Special Mission Offering. Through this Offering, the United Church of Christ engages in sustainable development, refugee, and disaster ministries within the United States and around the world. As many of you know, in times of disaster, those funds help the United Church of Christ stay active in assuring that recovery systems are strong. We are flexible and fill gaps in service in order to accompany the most vulnerable people. We enable our churches and individuals to practice preparedness, and to sustain long term recovery strategies long after the news cycle on the disaster ends. In recent days, we have witnessed excessive damage from typhoons in Southern Africa and massive flooding across the Midwest. Mission partners in Zimbabwe and Mozambique were affected by these disasters, as were many of our church communities across the Midwest. In addition to your ongoing financial support for One Great Hour of Sharing, I call for prayers for our partners in southern Africa and our church families across the Midwest. They are all uplifted by your contributions and your prayers. I give God thanks for the outpouring of generosity. As we approach the season of Easter, a season in which the rising of Christ instills within us all the hope of redemption and new life, I find myself filled with gratitude for the ways in which your gifts sustain our ministry. Through your contributions and prayers, we are helping to restore hope through building and rebuilding communities of resilience. Thank you all, and may the spirit of the living God and the risen Christ abide with you through the living of your Days. Want to receive the Chimes newsletter electronically? Email the church office at zionuccbaroda@gmail.com with your e-mail address and you will be added to the list. Zion's web-site now accepts on-line donations! Grace and peace! I am honored to accept the call to be your Transitional Minister and look forward to serving you during this transitional period. In the coming months I will have a column in The Chimes on our process and priorities, but this month I thought I would just introduce myself. I grew up in small towns in central Indiana, one of five children in Methodist parsonages. I earned my Bachelor of Arts at Earlham College in Richmond, Indiana, where my parents met. I’ve been working since I was 11: mowing yards, shoveling walks, delivering newspapers, writing for the local newspaper, working in factories and farms. My first job after college was as a loan collector for a consumer finance agency. Two years after college, I entered the ministry. I have served 8 churches in three states and two denominations: 15 years as United Methodist and 20 years as United Church of Christ. I was Spiritual Formation Program Director for a Roman Catholic retreat center and worked for Mennonite Mutual Aid. Between being UMC and UCC, I spent a decade in the financial services industry, earning Chartered Financial Consultant, Registered Investment Advisor and Registered Financial Principal designations. I’ve written seven books and have taught Psychology and Philosophy at several regional campuses. I’ve a Ph. D. in Celtic Spirituality and a D.Min. in Spirituality and Psychology. It’s a second marriage for Becki and I; we’ve been together 23 years. Together we have four grown children in four different time zones. We have five grandsons and one granddaughter, with two more grandsons on the way. Becki has a Masters in Ceramic Art, taught at a Community College in Illinois, and was an Advanced Master Gardener in Indiana – ask about her deer proof garden! She grew up in the shadow of Notre Dame in South Bend, Indiana. This is a little bit about me; I look forward to getting to know you in the coming months. We do have work to do, but first let’s get to know each other!